A very elegant clock, the Crystal Facet Desk Clock throws brilliant rainbows as it refracts light with its faceted sides. 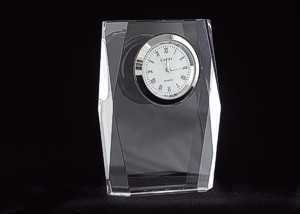 he Optic Crystal Desk Clocks arrive in beautiful satin lined Gift Boxes creating a truly memorable gift! 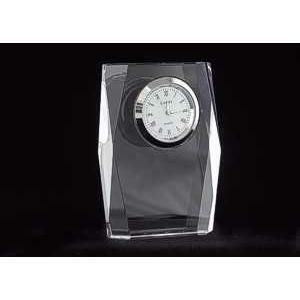 The Crystal Facet Desk Clock gift box measures 4-3/4 x 3-3/4 x 1-5/8 inches. 2-3/8" x 3-9/16" x 13/16"